It's FRIDAY FABRIC FRENZY; a chance to link up anything to do with fabric. I haven't sewn much lately and I'm really missing it. I missed going to my Club Wednesday at Quilts With A Heart this week. However, I get one of the Club's via email. The Farmer's Wives blocks showed up in my mailbox like clockwork. I was so anxious to get started on them but didn't have much of a stash with me. My stash replenishment resources (aka Quilt Shop) are fairly limited without driving at least 30 minutes or more. Now I realize that's really not that far but if you're only going after a couple of fat quarters, at the price of gas these days, that makes that fat quarter a little expensive. 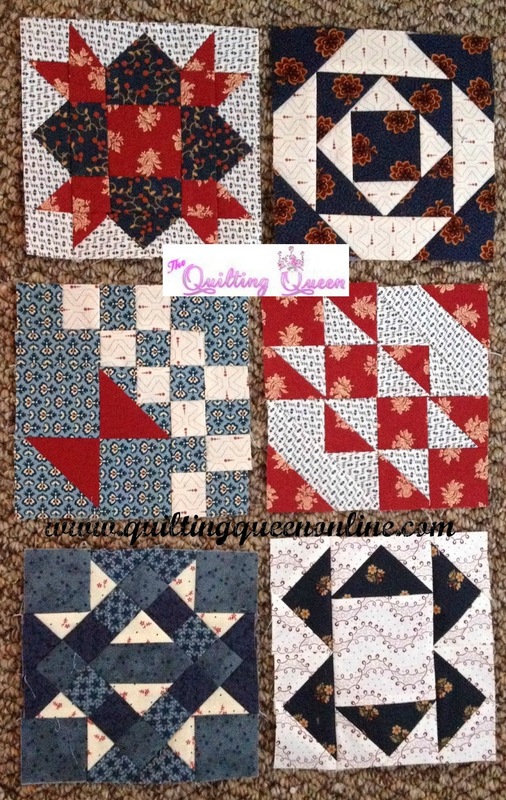 Soo, when life gives you scraps, make quilts... right? I managed to make do with what I had on hand. I might of changed a few fabrics out with something different if I had access to my stash but I didn't so here's what I come up with. The great thing about this is that the next 6 blocks are finished and I'm not behind on my BOM for the Farmer's Wives. I'm happy with how they turned out. All I need to do is add the sashing and cornerstone, which is already pre-cut in my box at home. 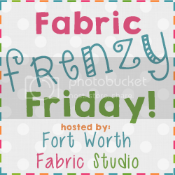 Fort Worth Fabric Studio is sponsoring this fun linky party. Hop on over and check out her Friday Bundle Batch she's offering and be social and link up so see what others are doing with their fabric.